Mrs. Toad Sews: Liebster Blog Award! I was nominated!! Have you ever had one of those exhausting and satisfying weeks that you has you on top of the world? Then, you open your email to find that you are being recognized for something that you love to do? Then you know how honored I am to have been nominated by Vicki at Yellow Submarine Time. speechless (don't worry, I recover quickly), I can still type! Some may not know what the Liebster Blog Award is. It is an award given to small bloggers by another small blog who has been nominated. It is then to be given to others. It is to raise awareness of small blog of 200 or less. I consider it to be an honor. Then finally blog it and leave a comment to let your 5 choices know they have been chosen. I first really want to thank Vicki! Wow. This was a very unexpected surprise and an honor to be thought of as being worthy of this nomination. Now for the "fun" stuff--I have a hard time answering open ended questions. What made me start to blog? This is easy. I've wanted to for a long time. I think it is a bit selfish. Most of my real life friends don't sew garments. I needed an outlet to share openly what I'm making and to be critical of what I am making. 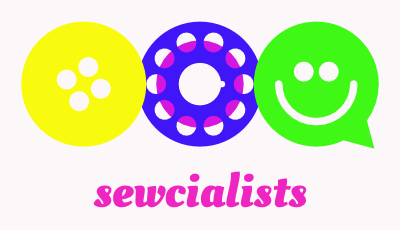 I also wanted to have a way to hold myself accountable and having a community of like minded sewists really give the support and encouragement I need. I am also able to learn from those who are more skilled. I really want to thank them. The reason I started when I did was because of Sarah at Good Bye Valentino and here Ready To Wear Fast invitation. What is my proudest sew and why? This is a tough question with many answers. I am proud of most of my sews, even my wadders because I have learned something--even if it is what not to do. I think my most favorite is a skirt I made a couple years ago in a geometric fabric. I made this by drafting my own pattern so it fit. It was lined and did not have a waistband. I don't have pictures and it has been unstitched so that I can alter it. Yep, it is in that pile. There are many more that I am proud of and I hope I'm not hurting the feelings of the other makes. If I could only sew with one type of fabric, what would you choose? Another tough question! I love so many types of fabric. If I could only choose one fiber it would be wool. It works in all seasons and can be woven, knit, and felted into a variety of fabrics and weights. I think the real question would be answered as knit, with lycra. I like sewing with knits (with lycra) because they recover their shape and are quick and easy to sew. They can be made into most garment types. However, I am pleased that I can choose from hundreds of fabrics and fibers! 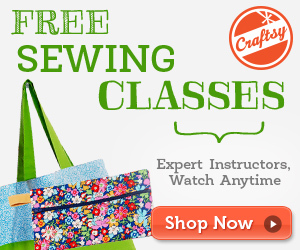 What is my favorite tool or gadget in my sewing box? I think this would have to be my embroidery scissors. However, they are not in my sewing box right now. In fact, I think they may have been thrown away in my cleanup of my last project! I love these little scissors because the have a fine point that lets you get those cuts really close, like in clipping curves to the stay stitching or in the corners of plackets. They are also my go to for ripping seams. I can get into tiny stitches where my seam ripper doesn't. How big is my stash? Okay, now this is a little personal. I'm sensitive about my stash crawling out of their bins, onto the table and out into the hallway. Seriously, my stash is way too big. I could sew a couple wardrobes of mismatched out-of-style fabrics for a few years. I could also sew a couple of bed sized quilts, but would need backing. Now for my nominees of the Liebster Award! Now I need to make a disclosure. I used Bloglovin' for the count, unless I saw that they had higher numbers from another source. These are not in any particular order and I could add to this, so if you are not included, please forgive me! 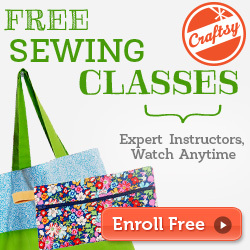 What type(s) of sewing do you enjoy? What do you do when you aren't sewing or blogging? Do your real life friends know about your blog? You deserve it! I think if I sewed 2 yards a day, I might not finish. I keep buying more "to go with" other fabrics. Vanessa, your blog is a bright light for me. I was just glad I was the one who got to nominate you! I wanted to have a fabric stash when I saw my MIL' s and now all I want to do is sew it up and pare it down! I guess it is one of those "be careful what you wish for" situations. I am now closing my eyes and wishing I had combinations that worked for what I want to sew. That's' s funny, Vicki! I've been considering putting some in the garage so that it isn't "in the house." Our Adult Daughter is sleeping in her nine year old brother's loft bed in his room,while he is sleeping in Middle Son's room with him because I can't/won't pare down the fabric. I think a Fabricaholic meeting is over due. I also don't want her too comfortable.